Basil (Ocimum basilicum L.) is a herbaceous, annual plant belonging to the Lamiaceae family. It requires great amounts of light and high temperatures, being resistant to drought. Its essential oil comprises estragol, eugenol, linalool, citral, camphor, cineol etc.The main actions of basil volatile oil are: digestive, antispastic, antinauseous, carminative, choleretic, antifungic, stomachic, galactagogue, diuretic.Taking into account that basil is a very important plant from a pharmaceutical and economical point of view, morphogenetic reactions in in vitro culture have been tested, as well as some explants’ growth and development on several hormonali formulae, in order to evince possible valuable genotypes and to develop an efficient technology for their micropropagation. The present study reveals several data on the cytogenetic studies in basil, that were aimed to depict the influence of the in vitro culture system and of the growth regulators within the culture medium on the mitotic index, on the frequency of the abnormal ana-telophases in the mitosis of root meristems, and the range of chromosomal abnormalities, as well. The chromosomal aberrations, their type and frequency are the subject of another research paper on Ocimum basilicum L. It was acknowledged that the in vitro culture itself triggers a great genetic (somaclonal) variability, that may be further used in amelioration. There are many known species of basil, but Ocimum basilicum, also known as Sweet Basil or Genovese Basil, is the most commonly grown. Basils are enjoyed for their rich, spicy flavor with a trace of mint, clove, and even licorice depending on the cultivar. Basil is also thought to have many health-promoting properties and is full of essential vitamins, such as K and A; minerals; and other nutrients. The botanical name of basil, Ocimum basilicum, comes from the Greek words for “smell” and “kingly”, which may allude to its fragrance and the purple (the color of royalty) flowers of many basil varieties. Using this plant our researches created a new subspecies using magnetic and genetic modification to control micro and macro growth patterns. They were successful in imprinting a new shape memory into the plants to restructure both internal as well as colony growth to follow geometric triangular forms. The independent origin and evolution of leaves as small, simple microphylls or larger, more complex megaphylls in plants has shaped and influenced the natural composition of the environment. Significant contributions have come from megaphyllous leaves, characterized usually as flat, thin lamina entrenched with photosynthetic organelles and stomata, which serve as the basis of primary productivity. During the course of evolution, the megaphylls have attained complexity not only in size or venation patterns but also in shape. This has fascinated scientists worldwide, and research has progressed tremendously in understanding the concept of leaf shape determination. There are various factors that contributed towards shaping the leaf; initiated as a small bulge on the periphery of the shoot apical meristem (SAM) followed by asymmetric outgrowth, expansion and maturation until final shape is achieved. We found that the underlying factors governing these processes are inherently genetic: PIN1 and KNOX1 are indicators of leaf initiation, HD-ZIPIII, KANADI, and YABBY specify leaf outgrowth while ANGUSTIFOLIA3 and GROWTH-REGULATING FACTOR5 control leaf expansion and maturation; besides, recent research has identified new players such as APUM23, known to specify leaf polarity. In addition to genetic control, environmental factors also play an important role during the final adjustment of leaf shape. To not only control just the leaf shape itself via genetic modification, we used magnetic sands in conjunction with standard, non-magnetic white sand to control the growth area and pattern of small colonies of basil plants (Ocimum basilicum) and create a new subspecies (Ocimum basilicum triangularis) that inherits these growth patterns and becomes independent from magnetic manipulation. Vascularization is an important anatomical characteristic that defines the two leaf types observed in vascular plants: microphylls (single vasculature) and megaphylls (complex vasculature). But vasculature is not the only distinguishing feature; size (small or large) and leaf gaps (absence or presence) also differentiate the two leaf types with complexity more pronounced in megaphyllous leaves. Examples of microphylls and megaphylls are evident in lycophytes (extant clubmosses, spikemosses, and quillworts) and euphyllophytes (comprising the extant ferns, horsetails, and seed plants), respectively. These contrasting morphological characteristics displayed correlates with an independent origin and evolution of the microphyllous and megaphyllous leaves. The two leaf types are believed to have evolved independently from simple leafless vascular plants around 480 and 360 million years ago. The microphyllous leaf emerged during Late Silurian/Early Devonian era while the megaphyllous leaf evolved during the late Devonian period; the latter event is linked with a 90% drop in atmospheric CO2 that corresponds with a 100-fold increase in stomatal density to avoid lethal overheating. Three hypotheses have been proposed for the origin of the microphylls, but Bower’s ‘Enation theory’ is the most plausible as it is supported by an evolutionary series of related Devonian taxa, Sawdonia (and Discalis), Asteroxylon, and Drepanophycus. For megaphyll evolution, Zimmermann’s telome theory has been widely accepted as the leading explanation which involves ‘overtopping, planation and webbing’ – three fundamental steps that transform a telome into a laminated leaf blade. This theory of megaphyll evolution is similar in concept to ‘evolutionary tinkering’, a phenomenon that involve changes in already existing organs/forms. Furthermore, the evolution of the megaphylls occurred at least twice, once in ferns and horsetails and the other in seed plants that include the gymnosperms and angiosperms. Among angiosperms, dissected or compound leaf form found in Cardamine hirsuta, pea, tomato, and so on have evolved independently from simple leaves. kg ha-1 of K in function to N doses. For range of N rates at each K dose, it was possible to establish models of behavior trend. The increasing linear model was defined to 0 kg ha-1 of K dose as a function to N doses, with occurrence of greater value of leaf area to 150 kg ha-1. The quadratic polynomial model was outlined for other doses of K, with maximum turning point observed in doses of 115.86 and 59 kg ha-1 of N. Therefore, despite of the absolute value of the total leaf area, it was observed that the interaction between N and K was characterized by requirement of lower concentrations of N as a function of increasing doses of K. A less expressive, but equally important condition occurred for relation between K doses and each N doses, being defined the quadratic polynomial model for 0 and 50 kg ha-1 and a linear model for 150 kg ha-1. According to established models plants grown under 0, 50 and 150 kg ha-1 of K, reached the maximum leaf area value at 150, 128.60 and 0 kg ha-1 of N, respectively. The pocket susceptibility meter, type KT-6, Geofyzika Brno, Czech Republic, is designed for quick-field measurements of magnetic susceptibility of rocks, drill cores and sand. The sensitivity of the equipment is SI units, and the measuring range varies from −999 to 9,999 SI units, with automatically switched accuracies: 9.99, 99.9, and 999. It was used to determine the magnetic susceptibility both in field and laboratory. The samples were friable with size about 234 grams. The black-sand samples were put in plastic cylindrical containers of 11.0 cm in diameter and 6.0 cm in height. The magnetic susceptibility measurements were applied to surface field measurements and quartered 966 representative samples, taken from large samples, collected from the field up to 5 cm in depth. The collected samples were taken along equally spaced stations, 50 mm apart, at 32 parallel equally spaced (10 mm) profiles. These profiles were oriented in an N-S direction and spaced at 100 mm intervals, covering an area of about 5.4 m2. A 12-channel global positioning system (GPS) instrument was used to set up the survey grid with a Universal Transverse Mercator (UTM) coordinate system, using World Grid (WG84) as datum. All samples were put in plastic bags and labelled by their UTM positions. Tthe growth of triangular holes in hBN monolayers was observed using sequential ARTEM imaging. 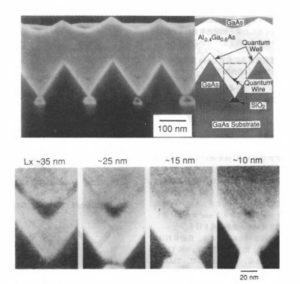 When a monolayer of hBN was subjected to electron beam irradiation, a vacancy formed initially and grew while maintaining a triangular shape. Such shapes were observed even when such holes merged. Through a series of TEM images that were supported by DFT calculations and MD simulations, the mechanism for the growth of these holes appeared to involve the ejection of B and N atoms near the centers of the hole edges and also the ejection of bundles of atoms. Such processes involve the breaking of B–N bonds that are perpendicular to the hole edges and result in the formation of single chains containing B and N atoms. Multiple chains containing B and N were also observed when two holes merged together, whereas previous studies have focused primarily on the observation of a single chain of C atoms in holes in graphene. Moreover, the migration of B and N atoms in monolayers of hBN was observed using ARTEM, as indicated by edge reconstruction, although such phenomena occur less frequently when compared to analogous carbon-based materials (i.e.,graphene). The formation of the triangular structure is due to the large growth rate difference between (100) and (111)B or (111)A orientations. Further continuation of the growth leads to lateral growth above the SiO2 mask, making the gap between the triangular prisms small. The gap between the triangular prisms was then filled up with Al0.4Ga0.6As. In contrast to GaAs, the orientation dependence of the growth rate is weak in AlGaAs materials. As a result, a sharp corner at the bottom of the V-groove between the triangular prisms is formed by the isotropic growth of the AlGaAs layer. Then the growth layer is switched to GaAs, which has anisotropic growth conditions similar to GaAs. As a result of rapid growth in the (100) direction, GaAs quantum wires which are connected to thin quantum wells are formed between the triangular prisms- The essential feature of this fabrication technique is that sharp V-grooves can be obtained by selective growth, without the quantum wires being exposed to air. By changing the growth time of GaAs material for the quantum wires, the lateral width can be systematically controlled from 7nm to 458nm.